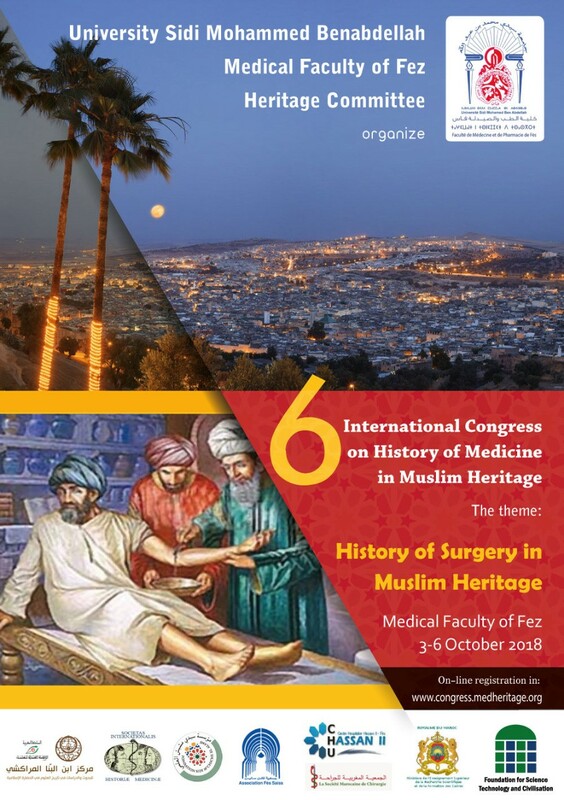 It is with great pleasure to announce the above event which will be held during the period from 3-6 October 2018 in Fez, Morocco under the theme “History of surgery in Muslim Heritage". Founded in 1975, Sidi Mohamed Ben Abdellah University (USMBA) is named after the 18th century Sultan of Morocco. The main campus is located in the northern city of Fez, a World Heritage Site and historically the last stop on the famous gold trading route from Timbuktu. The close-by University of Al Quaraouiyine was founded in 859CE and is often considered the oldest continuously running university in the world today. There are active cultural activities taking place at USMBA, and the institution has hosted an annual Theatre Festival since 2005. The university is also dedicated to outreach in the local community, and will often host programmes for the elderly. In 2016 there were two forums held discussing on the subject of energy supply in Morocco, hosting lively and active debate from both outside experts and the student body. USMBA is an active participant of international partnership programme Erasmus Mundus Al-Idrisi, co-ordinating exchange programmes with universities in Europe and North Africa. In 2016, head of Geography at the University of Rennes II, Adeline Cotonnec, met with faculty from USMBA. The two teams discussed a strengthened relationship between the two institutions for research and teaching, and for the introduction of the 2017 TOUBKAL Programme of Scientific Endeavour involving institutions in both France and Morocco.